Who hasn’t been in awe of the artistry of Melonie Daniels Walker? The in demand singer/songwriter, actress, vocal coach, vocal director, worship leader and so much more has delighted audiences with her unforgettable performances including He Lives and Forever from the GMWA Women of Worship and Reflections from Olanda Draper and the Associates. The Gospel world was buzzing when Walker broke the news that she had begun work on her solo CD. News that she was releasing a single only made us anxious, and then on July 29th, it became a reality. 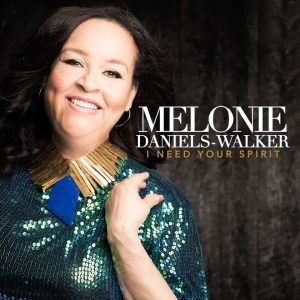 I Need Your Spirit hit digital retail outlets and was met with rounds of praise from Walker’s large fan base. Spirit heads to radio as Walker makes promotional stops at select cities across the country. 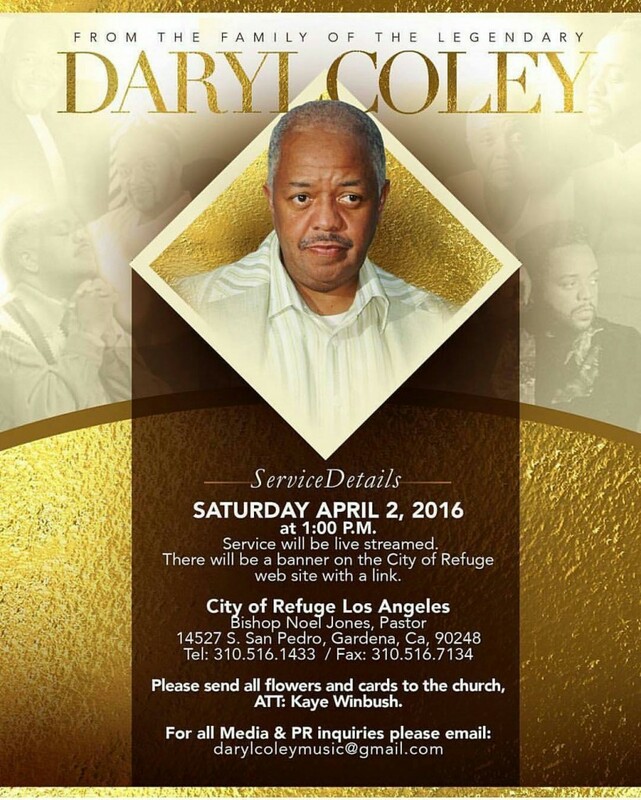 Service arrangements have been announced for Daryl Coley who passed away last week. Services will be held on April 2, 2016 at the City of Refuge in Los Angeles where Bishop Noel Jones is pastor. GOSPELflava joins others across the nation mourning the passing of Gentry McCreary, Sr, a giant in the Gospel Music industry. In his over 40 year career, McCreary worked promoting records to radio for a number of labels including Birthright, Word, Light and Benson. His affiliation with Light Records led to the first solo album from Rev. James Moore, Brothers and Sisters, I Will Be Praying For You in 1981. McCreary’s legacy was cemented with his work at the Onyx label, where he would introduce the world to the Richard Smallwood Singers, Vanessa Bell Armstrong and Bishop Paul S Morton in addition to defining albums from Keith Pringle, Danniebelle Hall and Thomas Whitfield. Moving to the Plumbline label, McCreary orchestrated albums from Daryl Coley and Lecresia Campbell. It’s arguably one of the most anticipated events of the Stellar Award Weekend. Hundreds come from across the nation in anticipation of the sweet presence that always invades the room. For many it sets the tone for their year, and is a time to be uplifted and encouraged. I’m writing about none other than the BMI Trailblazers of Gospel Luncheon. For the past 15 years the event has been hailed as the hottest ticket in town. 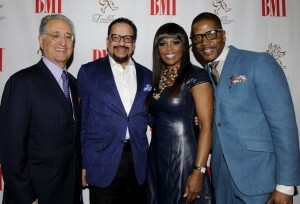 The invitation only event is the brain child of BMI Vice President Catherine Brewton and her team. 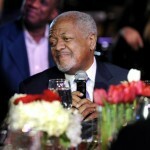 The idea was stemmed from other industries hosting events and parties to celebrate their legends. Brewton felt that Gospel music with its life changing power needed that as well. It was there that the luncheon was birthed and since its inception it continues to get better. Throughout the years the event has maintained its intimacy by gathering Gospel’s top artist, musicians, writers, and industry executives into one room. Each person in the room represents a brand and function that makes the industry work. 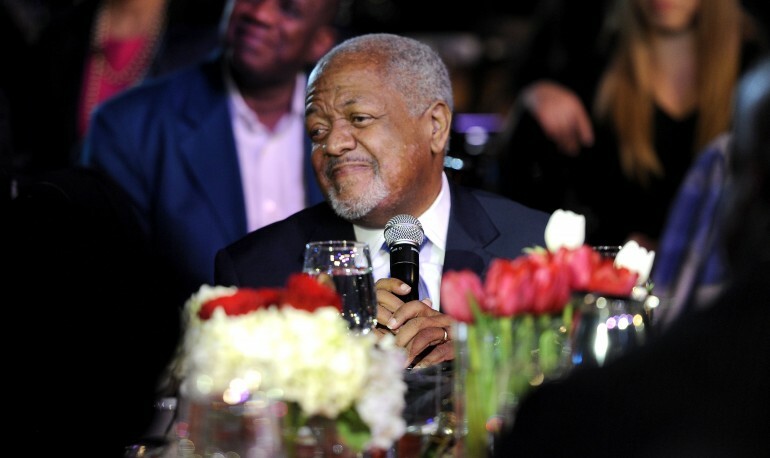 The anticipation and energy was high on January 15th as legends Daryl Coley and Richard Smallwood were set to be honored. Despite the cold temperatures hundreds pressed their way to the Rocket Town venue for an afternoon of praise and worship. The presence was strong as you entered the beautifully decorated room. The lighting was warm and the center pieces shined brightly. Oprah Winfrey once stated, “Love Is In The Detail”, and that’s surely something that the BMI team believes. From the personalized invitations that were sent in the mail, to the seating assignments everything about the afternoon was excellence. After the opening prayer by Bishop Joseph Walker of Mt. 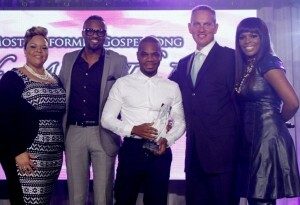 Zion Baptist Church of Nashville, the coveted “BMI Most Performed Gospel Song Of The Year Award” was presented to Kirk Franklin. Franklin penned Tamela Mann’s smash single, “Take Me To The King”. Both Franklin and Mann took the stage tearful and Franklin shared how both him and Mann were friends since the age of 15. 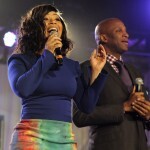 Tamela’s, “Best Days” album was nearly complete but Franklin insisted they save a slot for him on the album. That slot was the now ground breaking single, “Take Me To The King”. The song has spent over 20 weeks at #1 and the “Best Days” album remains in the Billboard Top 10. With the release of the Deluxe Edition the album is quickly headed to Gold Status. This win prepared Tamela for an amazing weekend , as the next day she won the Stellar Award for “Artist Of The Year”. Pastor Beverly Crawford- “Can’t Tell It All”. Pastor Beverly Crawford got the entire room in a shout as she took us to church on “Can’t Tell it All”. Zacardi Cortez’s rendition of “Jesus Saves” would be a refreshing radio hit as he breathe new life into the classic. Tasha Page Lockhart’s rendition of “He’s Preparing Me” brought forth testimony service. Host Erica Campbell explained how she listened to that song many years ago when her and her sister Tina were just starting out. Jason Nelsons amazing tone on “Sovereign” made the song an even greater masterpiece. 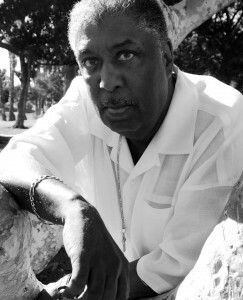 Donald Lawrence and Company sang heaven down holding the background vocals along with the band. BMI VP Catherine Brewton announced this years luncheon will be available on CD as a compilation and released later in the year. Yolanda Adams’s “I Love The Lord” was reminiscent of her powerful tribute to Whitney Houston at the NAACP Image Awards, and Anyasha and Timiney’s “Angels” brought a new light to the song as well as honored the previous version. Keep it locked to GOSPELflava.com for updates concerning the 2014 BMI Trailblazers Compilation. 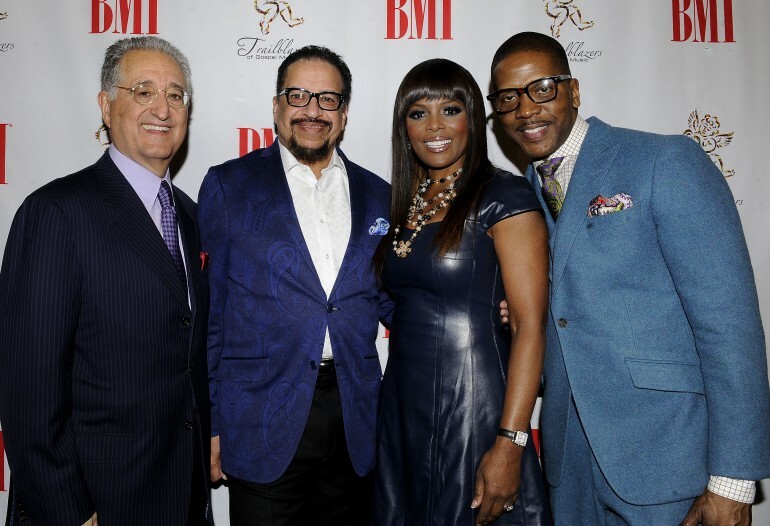 The Gospel music industry gathered en masse as Broadcast Music, Incorporated (BMI) celebrated the music and ministry of Daryl Coley and Richard Smallwood at its 15th annual Trailblazers of Gospel Music Awards Luncheon. 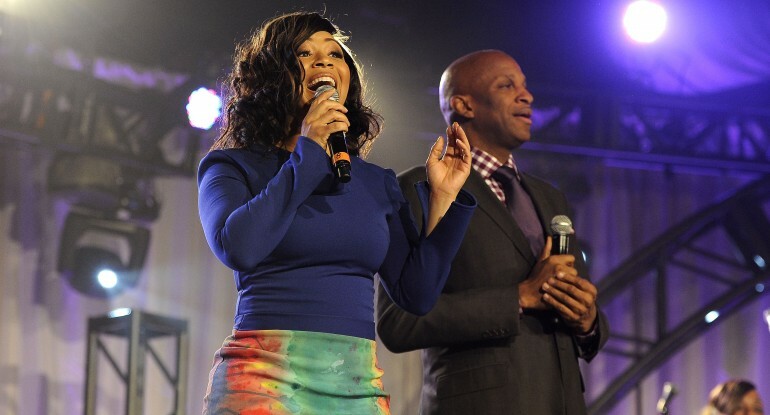 Donnie McClurkin was joined this year by Erica Campbell (Mary Mary) as hosts for the luncheon, along with Del Bryant, BMI President and Catherine Brewton, BMI Vice President, Writer/Publisher Relations, Atlanta. During the celebration, BMI honored Kirk Franklin for penning “Take Me to the King,” BMI’s Most-Performed Gospel Song of the Year performed by Tamela Mann and appearing on her Billboard chart topping Best Days CD. The music al tributes were phenomenal and included presentations from Zacardi Cortez (“Jesus Saves”), Tasha Page-Lockhart (“He’s Preparing Me”), Earnest Pugh (“More Like Jesus”), Floyd Wilkinson (“II Chronicles”), Beverly Crawford (“Can’t Tell It All”) and Jason Nelson (“Sovereign”). Serving as the event’s triumphant finale, the charismatic songs of Richard Smallwood were then celebrated with dynamic performances by Yolanda Adams (“ Total Praise”/“I Love The Lord”), Anaysha Figueroa-Coo per and Timiney Figueroa (“Angel Watching Over Me”), Y’Anna Crawley (“He Won’t Leave You”), Dorinda Clark Cole (“What He’s Done For Me”), Donnie McClurkin (“Jesus Lover of My Soul”/“Center of My Joy”) and Marvin Sapp (“Healing”). BMI announced today that the 15th annual Trailblazers of Gospel Music Awards Luncheon will honor Daryl Coley and Richard Smallwood. The event will take place on Friday January 17th in Nashville during the annual Stellar Awards Weekend festivities. BMI is currently enjoying the success of the release of the BMI Trailblazers of Gospel Music Live 2013 CD. Recorded live on January 18 at the 14th annual BMI Trailblazers of Gospel Music Awards Luncheon, the CD features performances from Anaysha Figueroa-Cooper, Pastor Shirley Caesar, Le’Andria Johnson, Donald Lawrence & Company, Yolanda Adams and Kierra Sheard. The album can be purchased now at iTunes and Amazon. 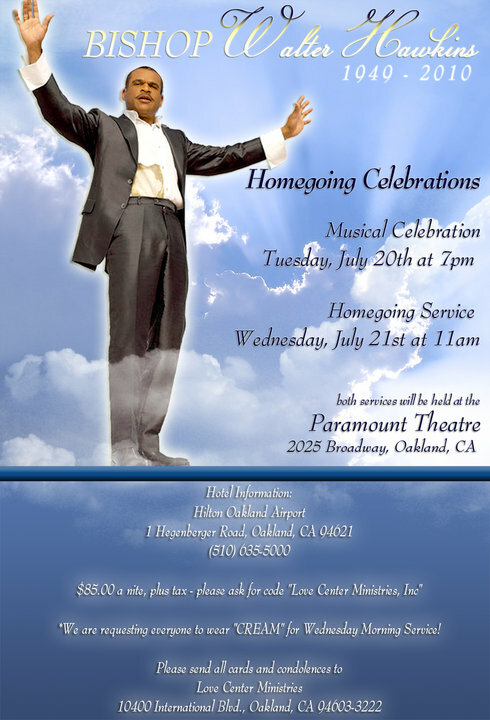 Mark your calendars for August 10th as people will gather from the four corners of the world to honor Dr. Edwin Hawkins for 50 years in Gospel Music. Hawkins is w idely regarded as an architect of the contemporary Gospel sound and his arrangement of the standard Oh Happy Day remains one of the world’s best loved gospel songs. A star studded gala is being planned in the city of Oakland, CA with participation from a venerable list of who’s who in Gospel including Richard Smallwood, Tramaine Hawkins, Daryl Coley, Chrystal Rucker, Dr. Teresa Hairston and others. 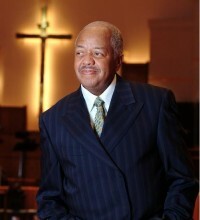 Here is the official information for the homegoing services of Bishop Walter Hawkins. This information was taken from the Official Walter Hawkins fan page. Sharing in ministry on the Tuesday Night Musical Celebration, titled, “The Man, the Music, The Ministry: A Musical Salute to Bishop Walter Hawkins” will be Yolanda Adams, Mary Mary, Pastor Donnie McClurkn, Daryl Coley, Vanessa Bell Armstrong, Ledisi, Ted Winn, Kim Burrell, Byron Cage, Karen Clark Sheard and more. Lady Tramaine Hawkins will be making a special appearance along with Bishop Hawkin’s sister, Lynette Hawkins Stevens. The musical directors for the event will be Bishop Hawkins brother, Edwin Hawkins, Donald Lawrence, Kurt Carr, Richard Smallwood, and Bishop’s own musical director Rusty Watson. The master of ceremony duties will be shared between Dr. Bobby Jones, Marvin Winans, and BeBe Winans. Tickets are FREE and available on a first come, first serve basis. The box office is open Fri, July 16th from noon til 3pm, Sat, July 17th and Tues, July 20th from 11am til 3pm and Wed, July 21st from 10am til 11am. …Contact Paramount Theater at: (510) 465-6400. OUT OF TOWN GUESTS (Outside of California), please contact Charles Jackson at (510) 708-9246 for your tickets. Tickets are limited! Bishop Kenneth Moales will officiate the funeral services on Wednesday morning. As of this moment the musical tribute to Bishop Walter Hawkins will not be streamed, although anything could change at any moment! We’ll keep you posted! The good news is Gospel Music Channel will air the Tribute Concert on Sunday at 8PM EST.